FIGURE 18-10 Postulated melatonin receptor-binding site model. This model shows two possible hydrogen-bonded interactions between melatonin and serine and asparagine residues in transmembrane helices III and IV of the receptor. Potential hydrogen bonds are denoted by dashed lines. Reproduced with permission from Sugden, D., Chong, N. W. S., and Lewis, D. F. V. (1995). Structural requirements at the melatonin receptor. Br. }. Pharmacol. 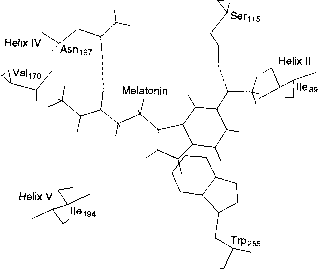 114, 616-623.
lowered cyclic AMP concentration, some more distant system must be affected by melatonin. Interestingly, pinealectomy results in an increase in ornithine decarboxylase activity in rat anterior pituitary, and this enhanced activity persists for at least several weeks. Other reports that pinealectomy results in increased mitotic activity in the rat adenohypophysis align with the effect on ornithine decarboxylase activity, which usually reflects mitotic activity. Whether this is related to the release of LH and FSH in response to GnRH is unclear. Cells from 20- to 30-day-old animals no longer showed the response to melatonin, presumably contributing to the regulation of development of the reproductive system. 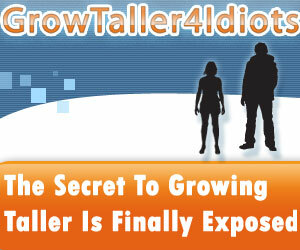 In the rat, puberty occurs 2-3 weeks after melatonin's ability to inhibit the pituitary gland disappears. In humans, peak nocturnal plasma melatonin levels fall by about 75% between ages 7 and 12, when concurrently measured plasma LH is rising (Waldhauser et al., 1984). This suggests that melatonin may have a role in timing human puberty. 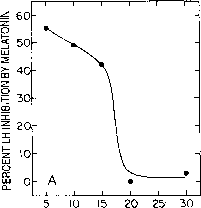 FIGURE 18-11 (A) Relationship between animal age and percentage of maximal inhibition by melatonin of pituitary LH response to LHRH (GnRH). The difference in LH values between groups treated with LHRH alone and groups treated with LHRH and 10 nM melatonin is expressed for each as a percentage of stimulation over control by LHRH alone. 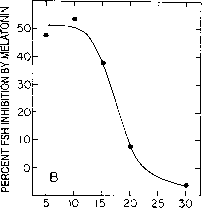 (B) Relationship between animal age and percentage of maximal inhibition by melatonin of pituitary FSH response to LHRH. The difference in FSH values between groups treated with LHRH alone and groups treated with 10 nM melatonin is expressed for each age as a percentage of stimulation over control by LHRH alone. Reproduced from Martin J. E., and Sattler, C. (1979). Endocrinology (Baltimore) 105,1007-1012. © by The Endocrine Society (1979). statin, which has been observed by using expiants of rat medial basal hypothalamus. The action of somatostatin on inhibiting growth hormone release is described in Figure 5-23. 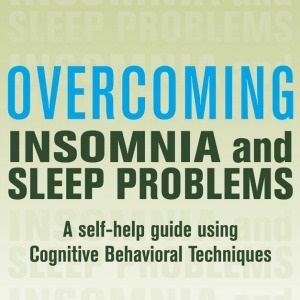 Interestingly, melatonin concentrations effective in stimulating somatostatin release were in the range of 10-100 nM for expiants of hypothalamus. Relatively little is known about the specific actions of Arg-vasotocin, and little or no information is available concerning an Arg-vasotocin receptor. 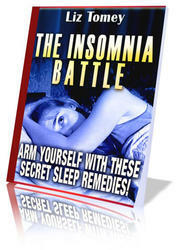 In fact, some believe that vasotocin may not be present in the pineal at all.